We are kickin’ it old school this sun-shiny Thursday morning! Here is the song of the day… CCR – Looking Out My Back Door. CCR has always been a go to band for me. My favorite memory of listening to this band was back in High School.. Me & my two friends wanted to go to a party that Friday night, my one friend was the only one with her license at the time… Her dad said she was only allowed to go to the party once the square bales were picked up. So the 3 of us stole her older brothers Ford pick-up.. headed out to the field… CCR was cranked as the 3 of us girls tossed bales into the back of the truck to bring in a full load! Oh did I mention we missed our last class that day to make sure things got done. Although we got in minor trouble for skipping class from her dad, as we stood in front of him with slightly scratched up arms, hay in our hair & dusty smiles… he allowed us to go to the party! 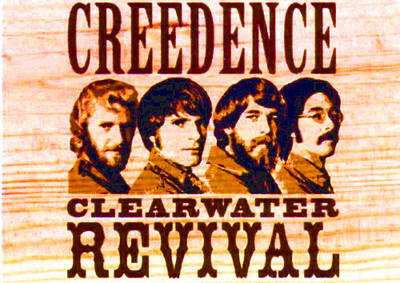 Ever since then CCR has always been one of my favorite bands. Hope this song brings you nothing but summer time thoughts & smiles!